Looking across the river in Chicago. I love how the buildings rise on either side of the river, just like canyon walls. You can see a wonderful mix of the old and the new in the architectural styles of the buildings here. There's everything from the ornate buildings of early in the 20th century up to today's simple, clean boxes. 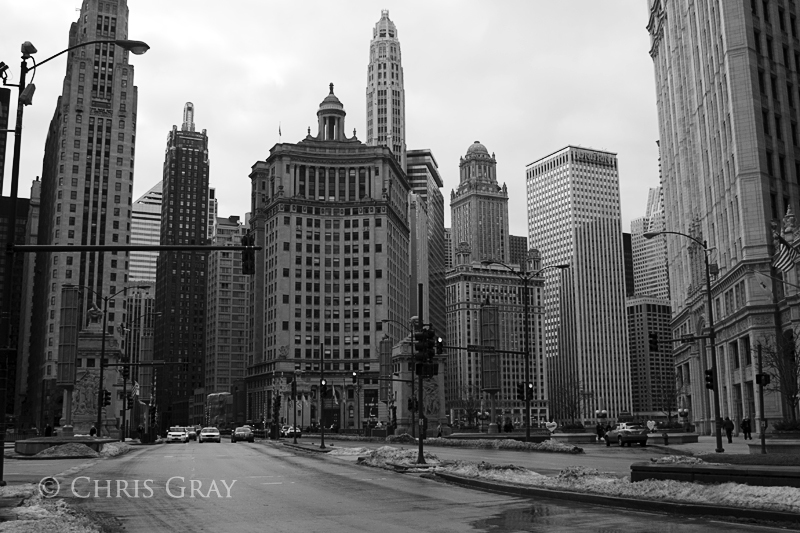 I'd love to go to Chicago again - it was a lot of fun to wander around. This page contains a single entry by Chris published on January 11, 2012 6:20 PM. Lunch and Pigeons at Union Station was the previous entry in this blog. Kites is the next entry in this blog.